— 2 killed, several injured after a passenger bus overturns near Kajalakana in Choudwar of Cuttack. — Youth found hanging from JCB machine at Amrutamanohi village in Kendrapara district. — Another minor girl delivers baby in Patkura area of Kendrapara dist. 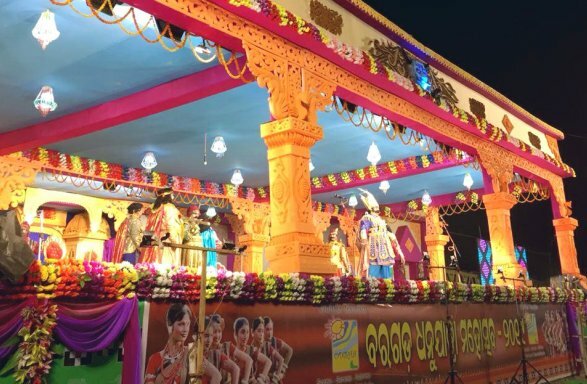 — Bargarh: 11-day Dhanu Jatra concludes today. — Odisha Government waives off royalty on Sal leaves. — Rajgangapur Municipality executive officer, assistant engineer and peon arrested for taking Rs 24,000 bribe from contractor. — People of Western & South Odisha celebrates Pushpuni festival. — Over 15 students of Alekhapatna project school in Angul taken ill after eating chocolates; admitted to hospital. — Karnataka: 16 dead after a boat capsized with 24 persons near Karwar, earlier today. — Uttarakhand: District Administration, Dehradun declares holiday for schools and Anganwadi Centers for tomorrow; warning of heavy rainfall and snow. — Karnataka: FIR filed against Congress MLA JN Ganesh by Congress MLA Anand Singh on charges of assault; JN Ganesh suspended from the party. — Uri The Surgical Strike crosses 100 cr mark. — Rupee dips 9 paise to 71.28 against dollar. — Senator Kamala Harris announces she will run for US president in 2020.